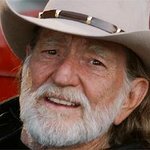 Willie Nelson will perform at tomorrow night’s Global Green Pre-Oscar Party at Avalon Hollywood. Global Green’s Annual Pre-Oscar Party is THE green event of Oscar Week. 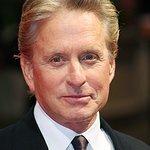 1,500 guests including celebrities, eco-luminaries, and entertainment press from around the world come to hear the latest green messages from some of Hollywood’s biggest stars. The evening culminates with stellar music performances by headline performing talent. Attendees to the Pre-Oscar party include Hollywood’s elite activists, actors and musicians, industry executives, political and business leaders and leading environmentalists. The Host Committee for the event includes Helen Hunt, Emmy Rossum, Orlando Bloom & Miranda Kerr, Cathy & Ed O'Neill, Navid Negahban, Dylan McDermott, Sophia Bush, Walton Goggins, Michelle Branch, Julie Delpy, D.W. Moffett, Lucy Walker, Moby, Judith Light, and Bill Maher. The Party takes place on Wednesday, February 20. For more info, click here.